Also known as the Antarctic toothfish, the Antarctic cod is famous for many reasons. One of which, is that its name is actually a misnomer as it actually is not even related to a cod, as it is not even in the same order. In fact, it it is more closely related to the Patagonian toothfish, which it is sometimes confused with. The other reason it is famous is because it produces an antifreeze called glycoprotein, which allows it to survive in the freezing, ice-laden waters of the Southern Ocean around Antarctica. It has a heartbeat once every 6 seconds, and it is hoped that research into these fish will lead to medical advances in cardiac medicine where human heart beats are slow during particular medical procedures, or if the heart fails to beat fast enough due to hypothermia. The Antarctic cod are a large, silver-brown coloured fish that has been caught in waters that are deper than 2,000 metres. When they are fully grown adults, they are among one of the biggest in the Antarctic continent as they can reach more than 2 metres long and weigh over 135 kg. This was recorded in the Ross Sea, by researchers from New Zealand. Antarctic cod have a lightweight, cartilaginous skeleton. They have fatty deposits which are a stored energy sauce, and lack a swim bladder. They also have retinas which are adapted to low lighting levels. The flesh of this fish is white, and has a high oil content. The taste is similar to a cod, which is why this species is sometimes called the Antarctic Cod. Data collected during a CCALMR tagging programme in the Ross Sea indicates that this fish is quite fast growing. Within 5 years, they reach 60 cm, in 10 years they reach 1 metre, and in 20 years they reach 1.5 metres. The maximum recorded age so far is 48 years, with a weight of 150 kg. However, there are only a few fish that have been caught by the fishing industry that are about 30 years old. Research has found that this fish matures at 10 years old. The Antarctic Cod is a fish eater. However, they are known to eat pretty much any of the remains of penguins caught by orca and seals on the surface. Studies show that this fish occupies a similar trophic level such as Orca, Weddel seals, bluefin tuna, and sperm whales. As a result, it is thought that small juvenile Antarctic Cod may be prey of the Orca, large squid, leopard seal, and the Weddell seal. 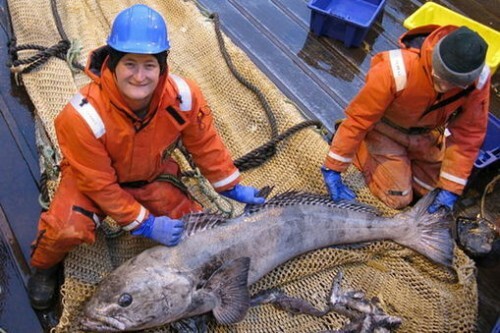 This fish is managed by CCALMR (Convention for the Conservation of Antarctic Marine Living Resources). CCALMR has enforced limited fishing to a precautionary catch level in the Ross Sea, to effectively manage this fish for the future. This also means that they can sufficiently collect more biological and stock size information for scientific purposes. 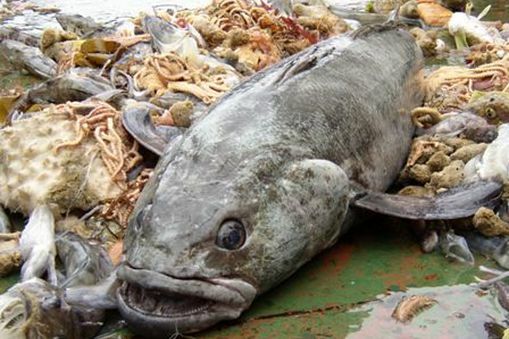 Greenpeace International has also added the Antarctic Cod to its seafood red list in 2010, as they are commonly sold in supermarkets and could be sourced from unsustainable fisheries.